So after a long hiatus, work has resumed on the bedroom. 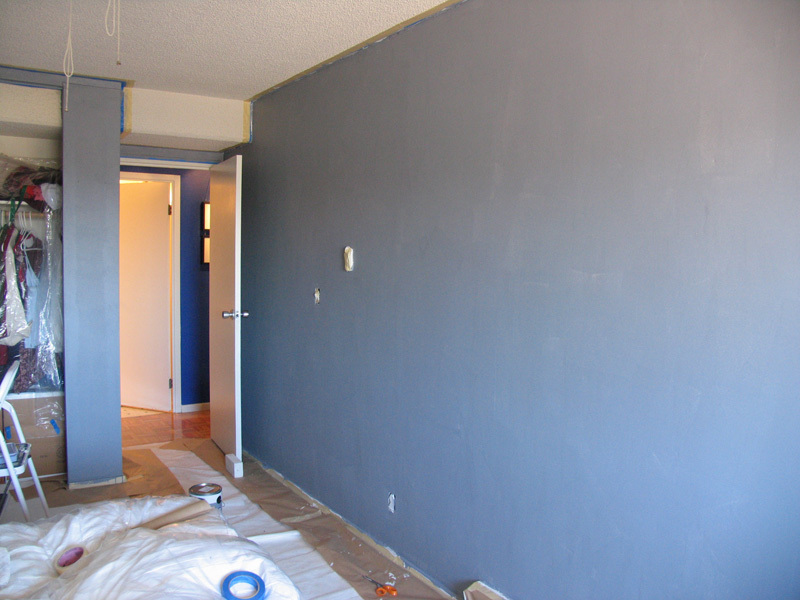 We finished sanding down the walls. and the proceeded straight to the primering. 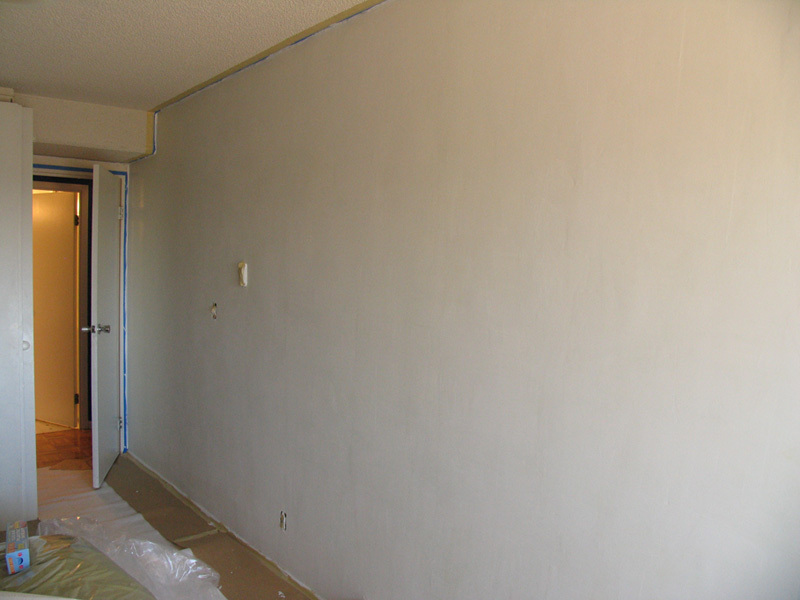 Here are the walls with 2 layers of white primer. And after one layer of a special grey-tinted primer that is supposed to be good for color, allowing you to get even coverage with fewer coats. We’ll see how well it works. And look! It works great! 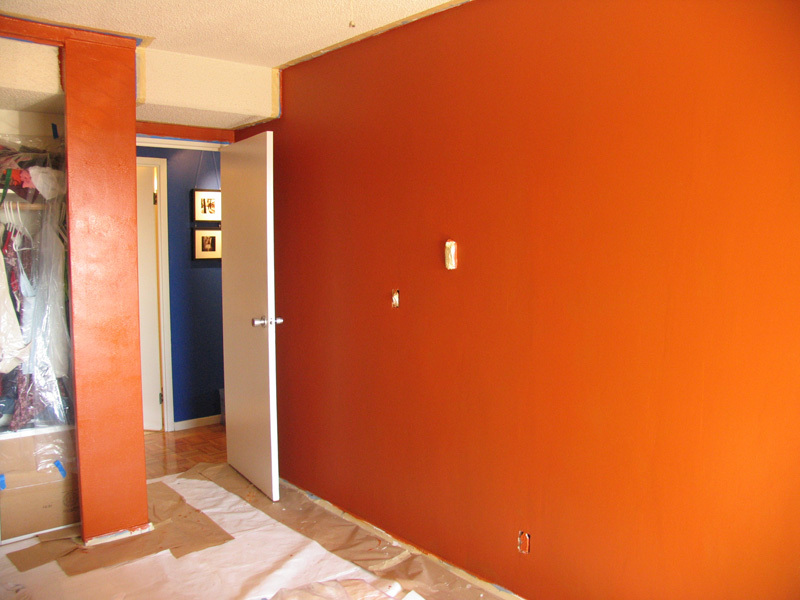 Here are the walls with only one coat of Fragrant Cloves, our chosen color. Looks good, I think 2 coats will probably do it! Last time I had to do, like three or four coats of the blue, and more of the red. In person, the orange is darker than it appears here. I’m very happy with the color. Looks really cool! I like the color.